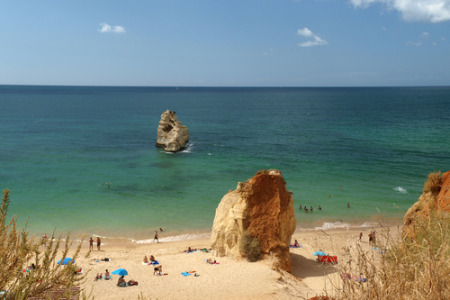 Sagres holidays take you to a small town on the edge of Europe, very close to Cape Saint Vincent which is washed by the mighty Atlantic Ocean. Holidays to Sagres are generally taken from April to October, although surfers enjoy the conditions hear at any time of year. Winter winds and high rolling waves offer perfect conditions for their sport. Holidays in Sagres appeal mainly to water sport enthusiasts and couples of all ages. The sheltered sand and shingle beaches and coves on the southern cape provide well for children, but extra care must be taken when the waves are heavy and the currents strong. The other side of the cape is favoured by surfers. We have a number of cheap Sagres holidays that are considered good value as our commitment to quality and service never wavers. The local area has a wonderful landscape and is a favourite with walkers. It is on a migratory route so there is a huge diversity of birds. The landscape is also noted for its flora. If you are looking for a guarantee of summer sun where the heat is tempered by welcome Atlantic breezes, you may be interested in our low cost Sagres holiday bargains. For further information and to view our best Sagres holiday deals, please use the search facility.